Modern call centers are intricately organized systems, operating 24 hours a day and capable of processing tens of millions of phone calls per month. The loyalty and growth of the customer base often depends on a call center’s effectiveness. As a result, the performance requirements for call centers are constantly growing. Organizations are striving to raise the level of customer service by reducing the time spent in a queue waiting to be connected to an agent (Average Speed of Answer, ASA), reducing the percentage of calls ended by customers while waiting (Abandon Rate), and improving the quality of communications link. 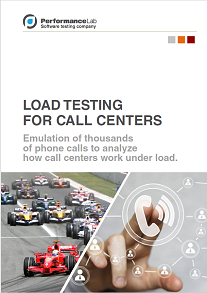 Performance Lab offers an innovative solution for load testing IVR technology and call center platforms. It can emulate inbound and outbound calls and customer and operator operations, interact with an interactive voice menu, and measure line quality. Performance Lab’s load testing solution for IVR systems makes it possible to develop load scripts to emulate the behavior of the call center’s customers (calls, web activity, email, instant messaging, screen sharing), using ordinary load testing tools, such as LoadRunner and JMeter and Data Synergy Voice technology from our partner Data Synergy. 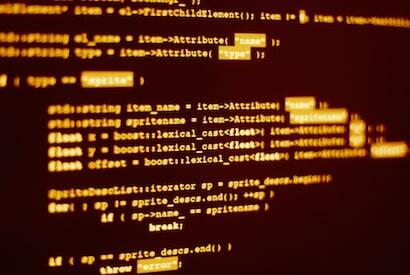 After these scripts are written and the parameters are set, they are used to generate a load that corresponds to the required number of customers.